Antonio Ramos & The Gangbangers will appear in the Pentacle/Rubin Museum series, presenting his company in his new "Prenda del Alma" (Jewel of the Soul), created especially for the space at The Rubin. Ramos' piece is inspired by the life and music of Chilean Violeta Parras. 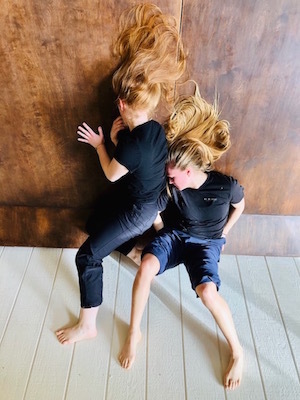 Mark DeGarmo Dance continues its Salon Performance Series with a performance shared by Gina Bonati and Ara Fitzgerald. In this intimate setting, audience members actively participate in the creation of a new work. Callie Hatchett & Can Wang are this season's final participants on the Salon Series. Each event will also include a work by DeGarmo. The Series concludes with an appearance by The Francesca Harper Project. 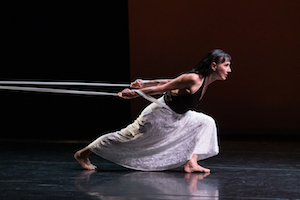 Periapsis presents four innovative dance/music collaboration, including three world premieres, by resident choreographers Erin Dillon and Hannah Weber, and guest choreographers Norbert De La Cruz III and Annalee Traylor, created to original music compositions by artistic director Jonathan Howard Katz, and guest composers Hilary Purrington and Harry Stafylakis. The Parade in 2018 took place on a rainy windy day in NYC, but the thousands of participants, in over 80 different styles of dance, paraded joyously in the rain - as we know, the dancers always come through!!! Hoping for better weather this year for Dance Parade. Grand Marshals for 2019 are Bill T. Jones, Baayork Lee, Louis Mofsie, and DJDara. The festivities will begin on 21st St. and Broadway with a traditional Native American Circle Dance. Three programs with the world premiere of Christopher Caines Dance in Caines' "listen our loud / move to keep things whole." Programs also includes works by David Parker and Amber Sloan, who will also dance James Waring's solo "12 Objects from Tender buttons." 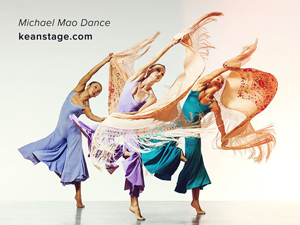 Michael Mao presents his company in a revival of his "D.S.C.H". to Shostakovich's String Quartet #8, along with other works to music by Kurt Weill, Huang Ruo, and Taiko drumming. Mimi Garrard Dance Company returns to NYLA with dancer/choreographer Austin Selden, former member of Shen Wei Dance Company, for a program of three premieres of dance, live and on film. The company, under artistic director Colin Connor, returns to The Joyce with Limon's towering "Psalm" and "The Moor's Pavane", along with world premieres by Colin Connor and guest choreographer Francesca Harper. Brenda Neville takes on Terry Riley's Musical Masterpiece "In C" in the world premiere of her "53 MOVEMENTS". Neville has created 53 corresponding movement phrases to complement Riley's pioneering 1964 work that consists of 53 short, set musical phrases. The Theatre at St. 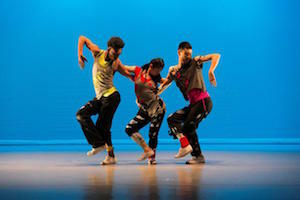 Jeans, 150 E. 76th St.
Corona presents works by choreographers Manuel Vignoulle and Guido Tuveri. June 1 program: W2! by Vignoulle and Just Joy by Tuveri. June 2 program: W2! and InnerAction by Tuveri. Ailey Citigroup Theater, 405 West 55 St. The 13-member company welcomes guest Craig Hall, who will appear in Lydia Johnson's "Night and Dreams" set to Schubert Lieder. 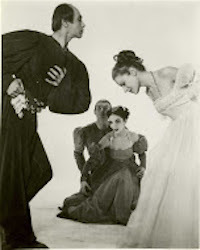 The program also features ballets by Johnson set to Handel, Glass and Henryk Gorecki. The whiz-kids, all trained at Feld's tuition-free school, return in a repertory of works by Feld and guest choreographers created especially for young dancers. Works by Magloire, Gabrielle Lamb, and Constantine Baecher. Goshen will premiere her "Between Heaven and Earth." An activist and conservationist, Goshen's new work is inspired by the equine Apollo, the great racehorse Barbaro and his nation, which never ceases to amaze. The company of singers and musicians will present the delightful "My Undying Love: An Amusement." © 2019 - Audrey Ross • Publicity. All rights reserved.